A descendant of the inspiration for Alice’s Adventures in Wonderland, sixteen-year-old Alyssa Gardner fears she is mentally ill like her mother until she finds that Wonderland is real and, if she passes a series of tests to fix Alice’s mistakes, she may save her family from their curse. Why I Recommend It: I found Alyssa’s struggles very real and compelling. Her thoughts and voice give a raw sense of what it’s like as you slowly grow older and gain more self-awareness through experiences that mold and shape you. The construction of Wonderland in the context of reality is a lot of fun and brings the story to life even more because Howard wipes away a lot of the fluff that makes Wonderland wonderful. The imagining of all the characters is creative and cool with lots of room for personal interpretation to boot. Seventeen-year-old Donna Underwood is considered a freak, cursed by the magical heritage that destroyed her alchemist parents, but when vicious wood elves abduct her best friend Navin, Donna must betray all her parents fought for and join the battle between the humans and the fey. Why I Recommend It: The Iron Witch is an urban fantasy that adds mystery to an otherwise ordinary town. The author weaves in the magic and lore of alchemy in a unique way that conjures up a Steampunk feel while still staying very modern. The motif used where magical beings “live among us” is very compelling and makes you ponder the possibilities of our own “real world” being filled with magic behind closed doors. Salvage is a thrilling, surprising, and thought-provoking debut novel that will appeal to fans of Across the Universe, by Beth Revis, and The Handmaid’s Tale, by Margaret Atwood. This is literary science fiction with a feminist twist, and it explores themes of choice, agency, rebellion, and family. Ava, a teenage girl living aboard the male-dominated, conservative deep space merchant ship Parastrata, faces betrayal, banishment, and death. Taking her fate into her own hands, she flees to the Gyre, a floating continent of garbage and scrap in the Pacific Ocean. This is a sweeping and harrowing novel about a girl who can’t read or write or even withstand the forces of gravity. What choices will she make? How will she build a future on an earth ravaged by climate change? Why I Recommend It: Salvage is such a unique science fiction concept with so many genres and disparate story elements rolled into one bundle of amazing! Think old-fashioned western meets futuristic space travel. The author mixes in unusual jargon which adds a layer of intrigue to the reading. Ava, the protagonist, is someone you can easily identify with and find yourself quickly in her camp rooting for her to push her own limits and become the woman you know she can be. Ava’s journey is a roller coaster ride where you find yourself cycling through all sorts of emotions but loving every minute of the madness. 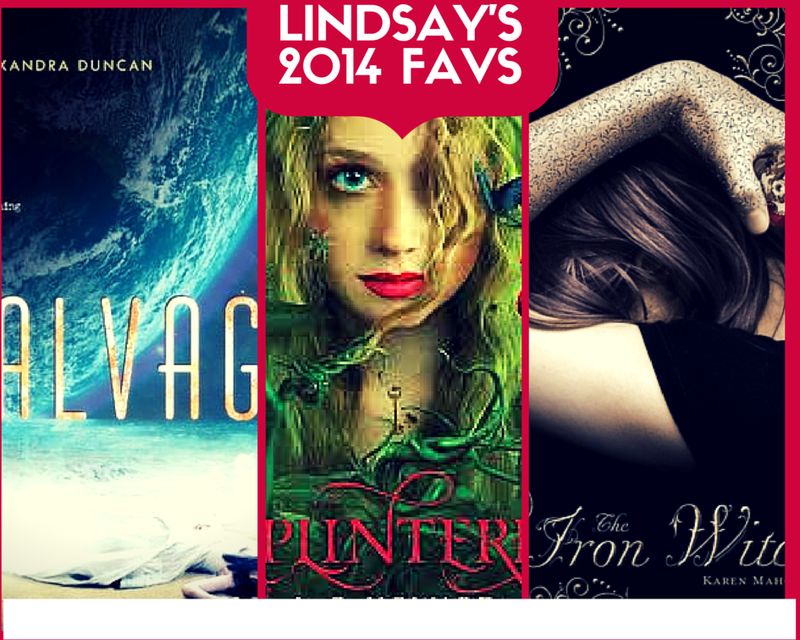 This entry was posted in adventure, Best of 2014, Readers Advisory, young adult and tagged Lindsay. Bookmark the permalink.